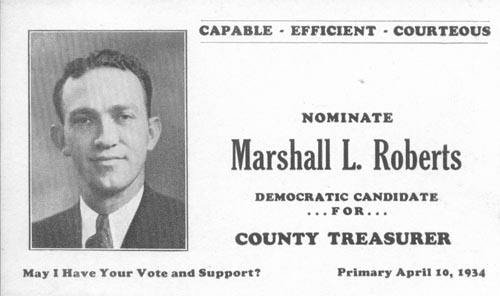 Nominate Marshall L. Roberts, Democratic Candidate for County Treasurer. Primary April 10, 1934. May I have your Vote and Support?